Gujarat situated in the western part of India is a land of diversities. It is supposedly a state having the most affluent people in India living here. In the rural areas, you can find the many tribal groups who are nomadic in nature. 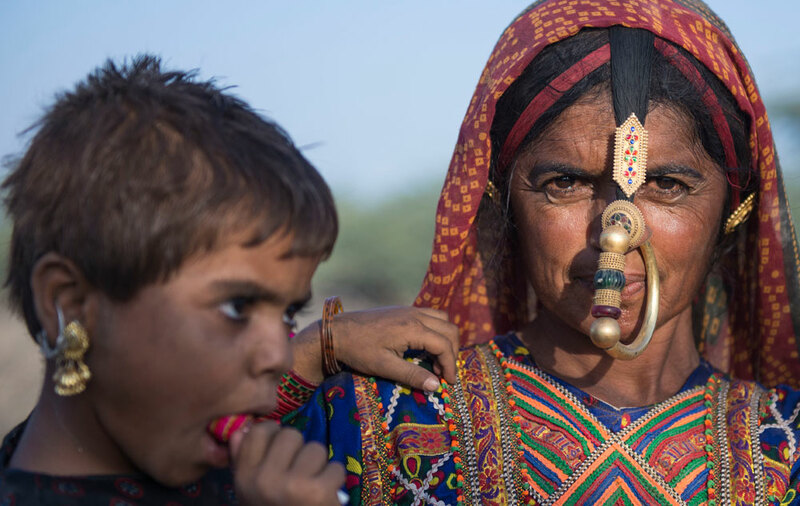 In the tribal tours of Gujarat, you will get to visit some tribal villages and experience their cultures and traditions that they have been following through the ages. It will not only be simply visiting those sites, but you can talk with them and understand how they lead their lives. There are still some tribal villages that have not been touched by the waves of modernity. They lead their lives in the same old virgin style. Gujarat is a state where you find old and rich Indian traditions existing side by side with the modern mobile age of smartphones and apps. You get to see some of the old and untouched beaches and medieval age architecture that will surely transport you to the Middle Ages. The Gujarat tribal tour will give you a real and original taste of India. We will give you an unforgettable experience that you will cherish forever. We have already prepared a laid out itinerary for you to get the best out of this trip. After you arrive at Ahmedabad, we will take you to your hotel.Later in the afternoon we shall will take you to the Sabarmati Ashram of Mahatma Gandhi. Overnight at Ahmedabad. Today we will drive to Poshina . You can interact with the Garasia tribes. Get to see their crafts and beautiful dresses. Overnight at Poshina Palace. Today we will visit Danta village. You will be able to see the tribes of Dungri Garasia. We will also visit one of the largest clay army of horses situated in the forests. In the evening return to Poshina for an overnight stay. Today we will drive to Dasada also known as Little Rann of Kutch . We will stop by at Patan to see the incredible Ranni ki vav ( ancient step well ) and Modhera to see the incredible Sun Temple on the way. We will also stop at the workshop of The Salvi Family to understand the techniques of Double Ikats weaving methods. In the evening we will take a walk in the village of the Mir Tribes , a group of pastoral tribes always on the move. Overnight in a resort In dasada. After a quick breakfast we will be take a jeep safari to the Rann of Kutch . See the various animal species here. After lunch, you will be taken to the Rabari and Bharwad tribal villages near Dasada. Overnight in resort. We will leave for Bhuj from Dasada. On the way we stop by at the villages of The Khatris to see the various techniques of Block printings using natural Colors. On arrival at Bhuj we visit the beautiful Aina Mahal Museum. Overnight at hotel. A full day tour will be organised to the Banni villages near Hodko . Get a firsthand experience of the village lifestyle and the traditions. We shall visit the villages of various groups like Meghwals , Pathans , Kolis and Jats all living in the desert , and known for their beautiful textile and embroidery work. Overnight in resort. Visit the Bhujodi village and witness the work of the weaving artisans. From there pay a visit to the place of the Rabaris at Tundav and Nirona. From Bhuj, we will go to Wankaner. On the way, we will explore the uninhabited village of Dholavira and witness its rich past. On the way to Jambughoda, see the ruins of the Harappan civilization. You will be taken along to see the tribal villages of Rathwa and Nayak near Chotta Udaipur . You can see the local market where you can get tribal handicrafts. From here you return to Ahmedabad, and the tour comes to an end. Do not travel to Gujarat in the hot summer seasons. Monsoons too should be better avoided. You do not get many options for having breakfast in Gujarat. Only the larger hotels provide the same. The majority of the restaurants are vegetarians. Non-vegetarian food is available only at big restaurants. Gujarat is a declared dry state. You will not get alcohol anywhere. If you are caught with bottles, you will be booked under law. Safety at Gujarat is much higher compared to other states. It would be advisable for you to avoid deserted roads at night. The state has a dusty environment, so you have to get used to it. The vehicles you find are also quite dusty. The weather, in general, is hot. Wearing of woolens is not required in particular. Do not eat roadside food to avoid stomach trouble. Always drink bottled mineral water.